Having dry eyes is common. It may not feel like you are alone, though, because you will have to hold back tears. It turns out that dry eyes can cause tears. If you are quietly contending with this issue day in and day out, it’s hard to have people looking and asking why you look like you are crying. Though, fortunately, there is at least one dry eyes treatment or 10 that will help remedy this problem. The common complaints that indicate dry eyes include itchiness, stinging, dryness, irritation, and burning. Many people will tire completely of having this problem and they will actually turn to their doctor for help. The underlying problem has to do with the tear ducts. Outside factors that can cause the problem to develop include air pollution and wind. When this happens the eyes try to make up for the problem and end up making more tears. It turns out that there are simple steps to help keep the eye doctor away. For one, drinking more water keeps the eyes moistened. Wear sunglasses that cover most of the eye. Reduce eye strain by taking plenty of breaks when studying or reading. In other cases, dry eyes happen to people who are already protecting their eyes. Most young people do not suffer from this problem. It is a process of age that allows dry eyes to occur. In some cases, it can be attributed to hormonal secretion. In other cases, it is from the wearing out or down of the eyes. Some people will turn to the local drug store to get eye drops. Still, others might look to their doctor for a prescription eye drop to pull back on this problem. The starting point should be going for the lowest hanging fruit where solutions are concerned. It can include simply increasing water intake, decreasing caffeine (to retain more water), and buying drops at the local pharmacy. Taking breaks from reading, and also going with lower eye strain screens or filters on the screen can help too. 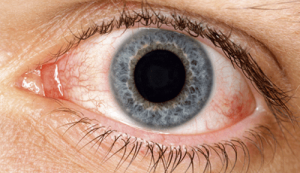 Staying far away from air pollution and chemicals, including smoke, will help the eyes too. If none of those actions help, then it is time to go see the doctor. He or she may have your hormones tested to find out if that’s the root of the issue. Whatever it is, getting help sooner will make your eyes better faster.